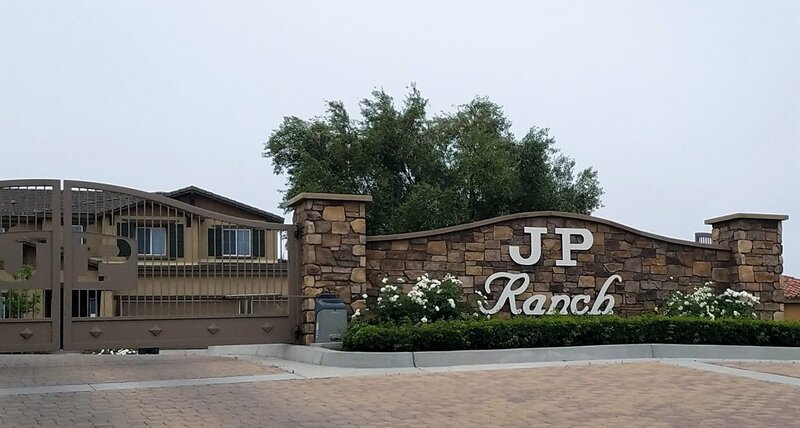 JP Ranch in Calimesa, California is a gated community governed by a Home Owner's Association, or HOA. The community is located off of Singleton Road exit from the 10 Freeway. JP Ranch homes vary from three bedroom to five bedroom homes, but there are some two bedroom models too. Square footage can range from 1,800 to 3,100 of living space, and lot sizes are from 5,000 to 10,000 square feet, typically.